Check out the latest savory recipe on Coffee, Cabs and Bar Tabs, Coconut Chicken Soup! For a soup that warms you from the inside-out, make this bright and herbaceous Coconut Chicken Soup. You’ll love the bursts of juicy tomatoes, creaminess of tender potatoes, and earthiness of shiitake mushrooms. Serve with jasmine rice on the side for a wholesome meal you’ll want to make time and time again. 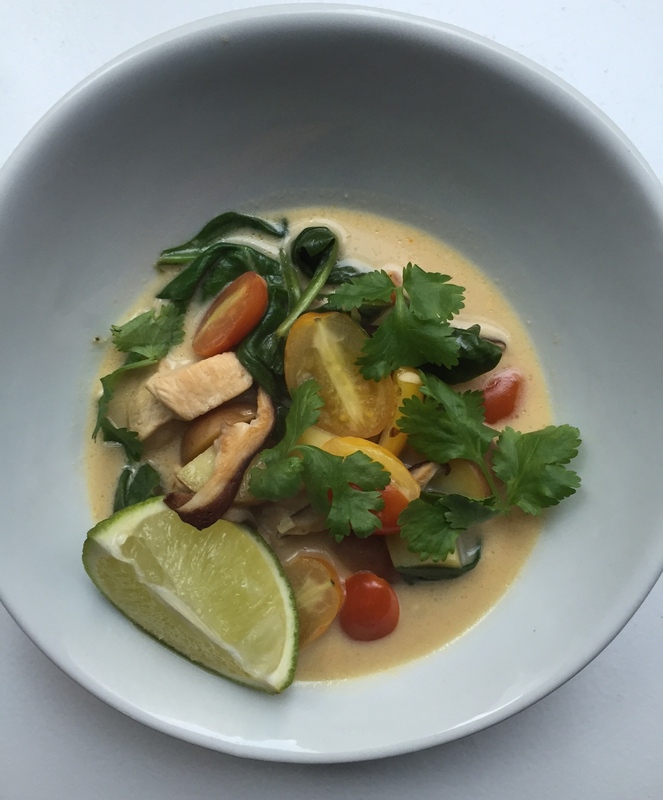 To make this recipe for Coconut Chicken Soup, click the link here. And make sure to check out all of the recipes on Coffee, Cabs and Bar Tabs now!